Many uses for this multi-purpose commercial property in high traffic area of the medical district of Wichita Falls to include...retail, office, medical, boutique or resale shop, etc. It also has 2 nice dressing areas already available. Rustic wood walls on one side and hanging racks for many uses already available. Building has a great front display window! 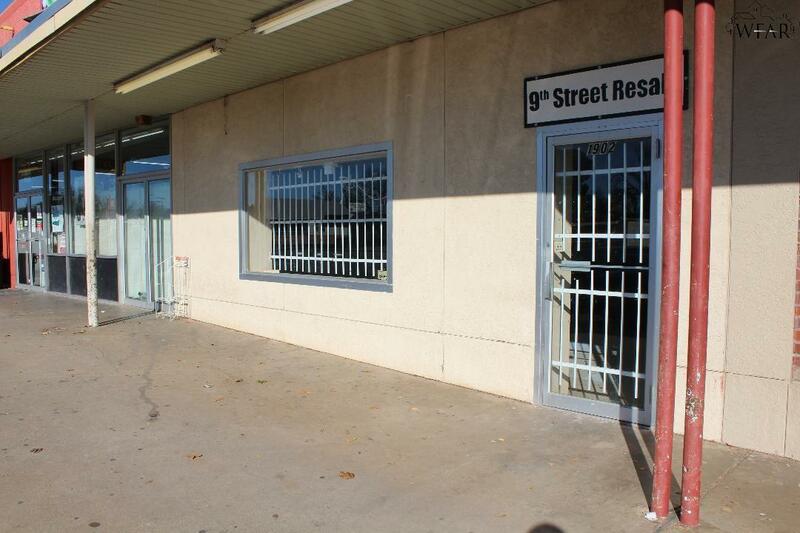 The building is very affordable, clean and move in ready with VCT flooring! Ample storage, bathroom, and 1750 sq ft. Listing provided courtesy of Traci Ryan of United Country Heart Of Texoma Realtors. IDX information © 2019 Wichita Falls Association of REALTORS® Multiple Listing Service.